The Medical Ambassadors Foundation in Albania is working in three run-down villages in the south-east of the country. Through providing holistic care known as community health evangelism, they are sharing the gospel and developing the communities to become self-sufficient. Even though much of Albania’s culture is traditionally Islamic, many people within these communities are very open to the gospel and churches have been planted in each village. The aim is to train local leaders who will take responsibility of the churches and the ministry can begin to reach and develop new communities. Pray for local leaders to be raised up, and for direction for the ministry team in deciding who to train and appoint. The Medical Ambassadors Foundation in Albania is working in three run-down villages in the southeast of the country. Through providing holistic care, known as community health evangelism, they are sharing the gospel and helping the communities to become self-sufficient. Although much of Albania’s culture is traditionally Islamic, many people within these communities are open to the gospel, and churches have been planted in each village. The aim is to train local leaders who will take responsibility of the churches and the ministry can begin to reach and develop new communities. Pray for local leaders to be raised up, and for direction for the ministry team in deciding who to train and appoint. Albania as a whole suffers with social inequality, corruption and poverty and in rural villages it is even more prominent. Lack of employment opportunities and low incomes leave communities in a place of despair with no hope for the future. WorldShare’s partner MAF has planted churches in three rural Albanian villages and are seeing communities transformed. In the village of Vlochist, the suicide rate has dropped from 2-3 per month to zero, since the church was planted there. Pray for this transformation to spread throughout all the rural villages, that many more people will come to Jesus, and find a new hope through Him. The Life in Christ Church is located on the outskirts of Tirana (capital city of Albania); they believe that God has called them to plant more churches. Pastor Erion Cuni says, “God told us to make disciples who would make disciples so we encourage church members to offer friendship, to invite others to church and to take care to feed spiritually the people they bring to church.” He continues, ‘”Our vision is possible… it is God’s will that people get saved, churches born and His kingdom grows. Albania is a difficult soil but nothing is impossible with God, His love for the lost... is greater than any challenge or obstacle whether religious or cultural.’” Pray that God will continue to guide and encourage this young church as they see many in their community come to faith and mature as disciples. Give thanks for GDQ International Christian School in Tirana. In addition to providing quality education for the 121 children presently in its care and seeking to participate in the improvement of the educational standard in Albania generally, the very existence of the school enables some 154 parents to remain in Albania and so to continue engaging in a whole range of ministries. Pray for the training of leaders of church life and pastoral oversight in the young Albanian church, that God will build his church and mature the faith of his people. BMS teams in Albania are seeking partners in prayer. Pray for more meaningful and close relationships with Albanian people, pray for the churches they are a part of in Albania, that they will continue to be a blessing to the community. Pray for BMS workers to grow closer as a team, and for their home churches and the churches preparing to welcome them on the BMS Action Team tour. Mat and Suzanne Gregory volunteer at a club for the Roma children on the outskirts of Tirana. “The kids come to this club with a huge amount of baggage,” says Mat, “sometimes literally as they carry their younger siblings around.” These children are part of a long history of marginalisation and discrimination. Roma people have often been refused work, an equal chance at education and been paid below a liveable wage. Thankfully, there are church communities around Europe who have dedicated their time to helping the Roma people. Christians are called to stand alongside the poorest of the poor, those living on the margins. Please pray for Mat and Suzanne and others seeking to show God’s love to Roma communities. Way of Hope Baptist Church in Tirana, Albania, celebrated its 20th anniversary in February. The church has come a long way since it was first planted by BMS World Mission in 1995. Its focus has been on encouraging Albanians to engage with the Christian faith after decades of enforced atheism came to an end in 1990, when the country’s communist regime collapsed. A football ministry that has attracted men to the church, a prison ministry and a young people’s outreach in a suburb on the outskirts of Tirana have all been part of its toolbox. 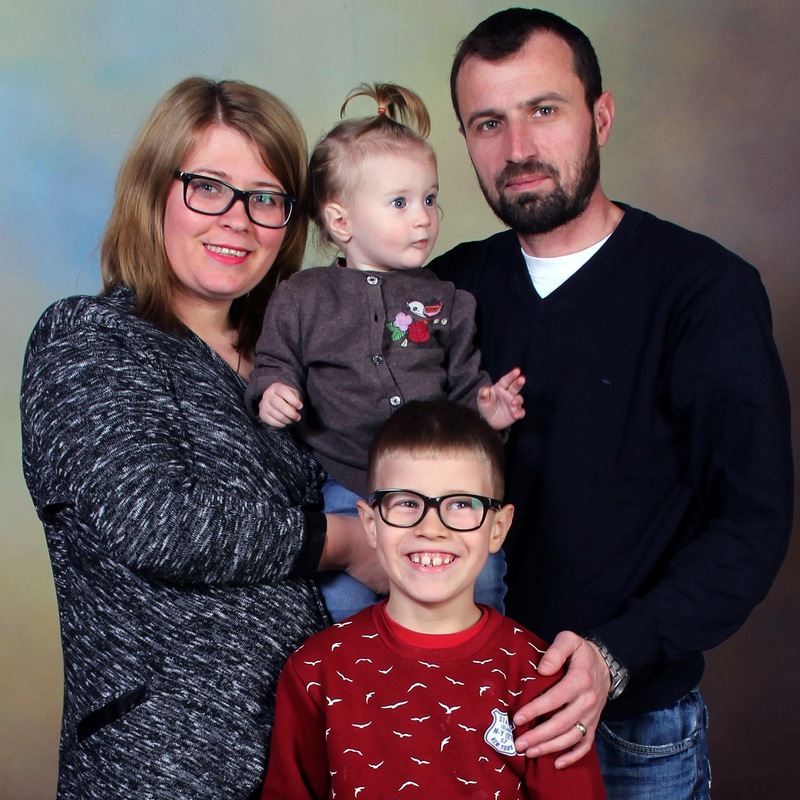 Pray for the next 20 years of mission and ministry for Way of Hope Baptist Church and for the people of Albania to receive Christ into their hearts. In 1967 Albania's Communist dictator, Enver Hoxha, proclaimed his country to be the world's first truly atheistic state. Under Hoxha's rule, Captain Berti Dosti served on an elite communications team monitoring Albania's borders for American incursions. However, this diligent soldier left his country unguarded for 15 minutes a week as he regularly tuned into Trans World Radio's broadcasts, ultimately becoming a believer. Had he been discovered he would probably have been shot, yet this young man with a growing faith continued to listen and today Berti Dosti is working with European Christian Mission to help rebuild Albania’s damaged society. The Evangelical Church in Albania remains small: attendance has dropped by more than 50% (from 22,000 to 10,800) in the past six years. Albanians are apparently looking for God elsewhere or not at all. An estimated 0.33% of the Albanian population are active evangelical Christians but the rest have little or no contact with church. Pray for the Evangelical Church to grow in number and strength through the many mission and evangelism projects being undertaken in this predominantly Muslim country – that Jesus and his resurrection power would be proclaimed throughout Albania.